Each story focuses on a survivor (or survivors) as they suffer through the end of the world. Some of the stories, such as the snow worms of “At the Mountains of Melting” and the creation of the Ark in “Locke’s Ark,” expand upon the setting and storylines developed in Earthworm Gods and Earthworm Gods II. Two, “Riding the Storm Out” and “The Last Ghost of Mary,” are even traditional ghost stories. One of the strongest stories is “The Magi.” It tells the tale of three magicians seeking to sacrifice a baby to stop the end of the world. This is easier said than done. What is more important, the world or your unborn child? The majority of tales simply offer cheap thrills from established monsters. Expect the shark and starfish men to make an appearance, along with the worms, white fuzz, and carnivorous fish. There is even a mermaid. If you enjoyed the other books in the series, this is more the same. If there is a downside to the collection, it is that all of the stories are too short. By the time the reader falls in love with the narrative, it is over. Moreover, if you have not read Earthworm Gods and Earthworm Gods II, the stories are not big and/or detailed enough to stand alone. To understand the setting, you really need to have read the other books in the series. Still, the positives far outweigh the negatives. 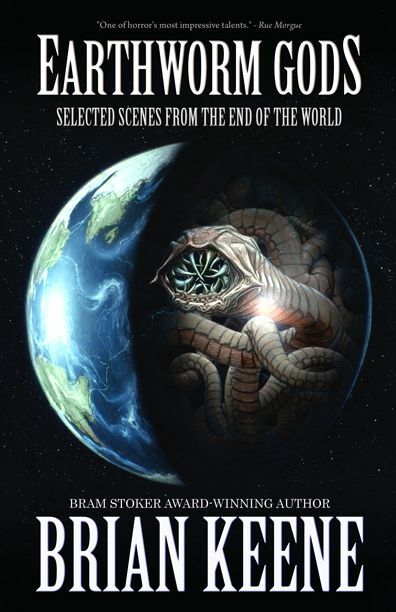 For fans of the series, Earthworm Gods: Selected Scenes from the End of the World is absolutely a must read.